Due to severe overpopulation, the planet Earth’s diameter is increasing with the growth of towering mega-cities, each inhabited by millions of humans. Buildings are growing ever-upwards, interconnected with a thick web of roads, walkways and service channels. In these giant human hives, only the affluent may feel the rays of the sun and breathe the cleaner air. Your team has been selected to go down and investigate problems at the Real Meat factory, in which all of the equipment has started to simultaneously malfunction. Technicians sent to repair the machinery have gone missing without explanation. The UPA's (Urban Protection Agency) orders are clear: prepare for the descent. Project Eden is a 3D shooter with an emphasis on puzzle-solving. You'll lead a squad consisting of four UPA agents: Carter Dorlan, Andre Herderman, Minoko Molensky, and Amber Torrelson. Each operative has his or her own special ability that you'll need to master in order to progress. As Carter, use your knack for interrogation and nimble fingers to gain information and unlock doors. When you need something fixed and in a hurry, Andre is your man. Computer terminals are no match for Minoko's hacking talents. Last but not least, Amber can traverse hazardous environments with nary a scratch and she'll be your weapons expert. Brave the lowest strata and prepare to go through hell in Project Eden! If you're looking for some gritty cyberpunk-ish storytelling, challenging puzzles, and original gameplay (with optional drop-in, drop-out co-op), this is your game! 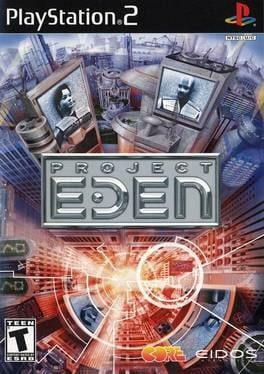 Project Eden is available from 5.39 to 5.39 from 1 shops.